Mamma Mia at the Tap’n’Tin ! Look whats happening at the Tap’n’Tin! 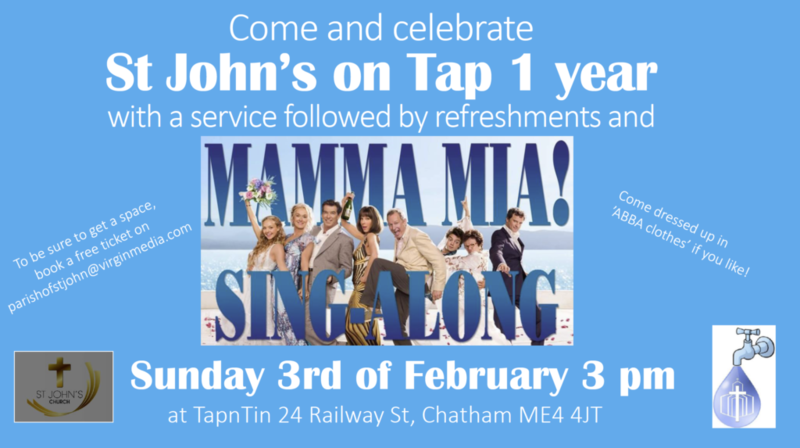 A Mamma Mia singalong hosted by St John’s on Tap on Sunday 3rd February from 3pm (Service) followed with Abba Mania. Get those platforms, flares and a feather boa at the ready! Should be fun!